Logan Mize has had a somewhat stop-start beginning to his career. 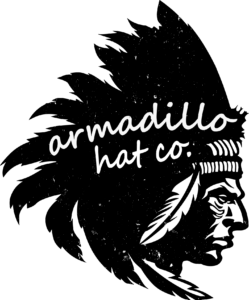 The songwriter and performer from Clearwater, Kansas has released two albums and an EP prior to this year. His self-titled debut and the follow up LP ‘Nobody in Nashville’ got Mize noticed enough whereas the follow up EP ‘Pawn Shop Guitar’, which spouted the successful single ‘Can’t Get Away From A Good Time’, put him even further into the spotlight. 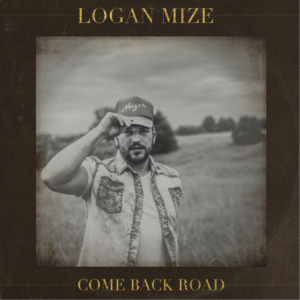 2017 sees Logan Mize return with his latest record ‘Come Back Road’. The first song on the album starts things off big with the loud ‘Somebody to Thank’. The verses chug along with handclaps backing up Mize’s smoky vocals and the chorus soars high as Mize sings about the people, places and things that have inspired him. It’s typically country in thanking JD and Jim Beam as well as his mum and dad whilst he chucks in Luke Skywalker as a reminder of his childhood. It’s a great humbling song that gives you a real slice of who Logan Mize is. Next up is ‘Life Is A Party’ which is another upbeat and fun number that is guaranteed to pick anyone up on a bad day. Mize sings ‘the World is a trip and life is a party’ through the chorus. Musically it’s not a song that really grabs me and it somewhat passes me by. It’s quite similar to the open track in listing things that make Mize happy. Track three is ‘Cool Girl’ which takes the foot of the gas slightly. It’s a much more laid back song which is acoustic guitar driven. It has a big thumping chorus but again just doesn’t really grab me too much and passes me by. The album really kicks into gear when we reach the title track. ‘Come Back Road’ is an ode to the people and places that made us. The album seems quite retrospective in this way and this song feels like it transports you to Clearwater. It builds from it’s fingerpicked acoustic choruses where Mize sings “you can lose a lot of things but it’s hard to lose your hometown… you can always come back road”. It’s a really great song and really does feel like a slice of Mize’s life. ‘Better Off Gone’ kicks off with a funky acoustic guitar. It has another great chorus that has your foot tapping and keeps you singing along. The song maintains the same tempo throughout and that becomes part of its charm. The song is about a girl leaving home and the feeling of letting her go but knowing it’s the best thing for her. We have a real feel-good party tune in ‘All This Night Needs’. Mize’s husky vocals glide over this foot tapping number as he sings about sharing good times with friends and how the perfect woman would just top it all off. I love the chorus of this one and it’ll definitely be a live favourite. The lead single from the album is up next in ‘Ain’t Always Pretty’. It’s a song that has achieved some success on country radio and has got Mize more exposure. Musically it’s a little more mainstream than the Logan Mize that we’re used to from his earlier work and it definitely has a more R&B feel with the thumping beat and piano. Lyrically it’s a great song about how life isn’t always perfect but having the right person go through it with you makes it worth it. ‘Drinkin’ Buddies’ kicks off with a guitar riff and a real party feel. It’s your typical country drinking song and fits well under that label. This is definitely a fun song and lightens things up with some of the retrospective and heartfelt songs that have come before it. It’s great bar room music where Mize sings about having a little “happy hour therapy”. I’m still unsure about how I feel when it comes to ‘Bands Make Her Dance’. I absolutely love the intro and verse of the song with reverb soaked guitars and thumping kick drum building up to the big chorus. My only issue is that Mize really sounds quite Blink-182 two throughout the chorus – I don’t know whether I like this or not! I guess it’s one to listen to and make your own decision. The heartfelt ‘Catch a Fish’ comes up next. This is one of the songs on the record that Mize has a writing credit on and it really shows. It works as a message to his Dad as he sings about how the last time they spoke he was “full of pissed off and alcohol” which is a line that I absolutely love. The chorus is big as Mize sings, “everybody’s got their own way to find forgiveness, you got yours, I got mine, I think it’s time we catch a fish”. The lighters will be up in the air whenever Mize plays this live! Great tune! ‘All Time’ comes next and takes another fond look back at sneaking around with girls as a youngster. It’s a decent song that will get crowds singing along with the big “all time!” in the chorus. The album is finished off with another favourite of mine in ‘Big City’. It’s a big arena sounding song with a huge chorus driven along by big guitars. Mize absolutely soars on this song which wouldn’t be out of place being belted out in a stadium as Mize sings “the night is young and love’s a big city”. This album is another big step in the right direction for Logan Mize. The country music market in the USA is notoriously hard to crack and it seems that you need something either totally aimed towards mainstream pop fans or something very special to crack the market. Logan Mize has definitely got something special but it’s not quite on show all the way through ‘Come Back Road’. There are some real high points on here, especially in the likes of ‘Catch a Fish’ and ‘Big City’, but also some mediocre points with ‘Cool Girl’ and ‘Life Is A Party’. Some of the songs just feel like attempts to crack that mainstream market and don’t really fit together. One thing that I will say for this record is that it has some great song writing to show off – the album is almost a sepia toned look back through an old photo album for Mize and that, if really built on, could lead to a great career for this talented artist.